The windows that you install on your home should be chosen with care. 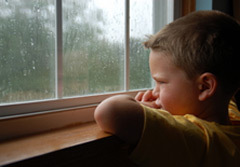 With the selection of the proper types of storm windows, you can protect the interior of the house from storm damage. These proper selections can also help prevent excessive energy consumption in the house. This reduction in energy consumption will not only help to reduce monthly utility costs but will also reduce your global footprint. However, after you invest in new storm windows, you will begin to consider the optional treatments that are available to purchase. If you think choosing storm window treatments could be beneficial for your house, then be sure to consider as many options as possible before making the purchase. Everything from reused window films to energy efficient draperies are being sold so you must learn the differences in benefits between these choices. By doing this, you can make a more sound purchase. Window films are a popular window treatment among property owners. With a high quality film, you can block out the sun's harmful rays which will help to more properly protect the furniture inside the house from fading. Additionally, a high quality film can be used to reduce how much energy is able to escape or enter the house, depending on the time of year and whether you are heating or cooling the property. Basically, a window film is an invisible cover that can be placed onto each window in the house. This cover is harmless to those who live there and can be an affordable option for increasing your energy efficiency levels. Many manufacturers make these films so it shouldn't be difficult to locate them if you decide this treatment is the best choice for you. Shutters are popular not only for appearance reasons but also for the security that they can provide. 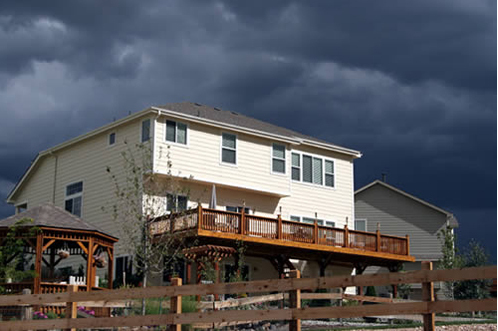 Typically, shutters are treatments used in areas likely to experience major storms such as hurricanes. However, they can also be used on other regions mainly for aesthetic appeal. Apart from protecting against storm damage and reducing energy loss, the shutters can also be used to block out sunlight. For those who work during the night and sleep during the day, a combination of proper drapery and tightly sealing shutters can be the perfect solution to match your unique sleep schedule. The cost of shutters can vary significantly. The cost you will pay can depend in part on the size you will need as well as the material that is selected. Everything from wood to laminate materials are available depending on your style preferences. You will likely mainly choose a material based on how well it will mesh with the other window materials that have been selected. Finally, regardless of which other treatments you may select for the window, you will also likely be interested in purchasing draperies. These treatments not only prevent energy loss in the household but will also increase your family's privacy. Since so many drapery options are available, it is important to consider which style will best complement the household and also which will provide additional benefits that you may desire. Most draperies are now designed with energy efficiency in mind because of how important this issue is to most home owners. Rather than purchasing traditional curtains, you can select energy efficient styles to further enhance the energy conservation efforts you have taken in the property. However, one thing to consider when choosing storm window treatments is the price differences between traditional and energy efficient draperies to determine which choice will match the best with your budget.